Your brain may be thinking “What! It’s winter,” but January is the time to start prepping your Texas garden for spring. There really is a lot to be done and if you organize you tasks appropriately to the month you can spread out the work and not be playing catch up when spring rolls around. If you want to grow from seed, now is the time to start many of your plants indoors. Having a warm greenhouse or cold frame is ideal, but a grow lights or even a bright window sill will work. Growing seeds indoors will just take a bit more day to day maintenance. If you will be using grow lights, be sure to start the seed with the lights a few inches above the soil. As seedlings emerge, you will need to move the lights higher. Seedlings on windowsill will need to be rotated daily so that strong, straight stems will develop. Also, be careful to watch out that bright light doesn’t burn young seedlings. Vegetables you can be sowing now for your spring Texas garden include: Lettuce, Radish, Spinach. And in late January you can include: Beets, Carrots, Collards, Kale, Peas (English, Sugar, Snap), Rutabaga, Turnip, Tomatoes and Peppers. Annual flowers to sow in January include: Alyssum, Coneflower, Delphinium, Gaillardia, Gayfeather, Hollyhock, Larkspur, Phlox, Petunia, Snapdragon. Late January: Poppies, Sweet Pea. The month of January is a good time to plant bare root fruit. Think about your rich harvest if you consider putting in apples, berries, figs, pears, and pecans. Vegetables that can be planted include cabbage, kale, onion, leeks, spinach, broccoli, cauliflower and collards. There are several annuals that could have gone in during the fall but you can plant them now for spring blooms. Try pansies, violas, alyssum, stock, snapdragons, bluebonnets and dianthus. Winter is a good time to put in hardy evergreen and deciduous trees. During this time of the year, roots start to grow while the top of the plant is resting and this will give your trees a strong head start. For the most success, plant native trees for your Texas garden. They will be more drought tolerant and will adapt quickly to Texas soils and climate. Consider ash, black gum, buckeye, cottonwood, hawthorn, hickory, magnolia, red maple, oak, pine, or sumac. It’s time to dig in and prep your garden beds so they offer your transplants a ripe, hospitable environment. Till or turnover the bed and amend them with a rich compost. This can be a homemade mix or a purchased product like turkey manure. Adding some cottonseed meal or bone meal to the top two inches will help stimulate root growth for young seedlings and reduce transplant stress. If you didn’t clean up the beds in the fall, you will need to do this before tilling. Remove all dried vegetation, twigs and any other debris that may have accumulated over the past few months. Give your irrigation system a complete checkup. Now is a good time to also make sure that all hoses and sprinklers are in good working order. If you are in drought conditions, continue to water lawn and other plantings. Always water deeply. Plants are subject to freeze damage if they are too dried out. The warming weather is prime time for weeds to pop up quickly. Corn gluten is a natural pre-emergent that is friendly to Mother Nature and it offers a welcome dose of nitrogen. Keep in mind though that corn gluten will keep all seeds from sprouting so don’t use it in beds where you will be sowing rather than transplanting. If you have mature fruit trees, spray them with dormant oil. This is an effective preventative for scale and over wintering pests. This is the end of the dormant season so it will be your last opportunity to prune fruit trees before buds begin to appear. You should also trim evergreen hedges and hardy herbs will benefit greatly from a judicious haircut. If you’ve been thinking about adding to your landscape, consider putting in shrubs and groundcovers at this time. Texas winters are typically mild and an early start means plants will be more robust when hot temperatures arrive. Now is also the time for putting out seed potatoes. They will be planted in mid-February, but should be cut and put out to dry before plantings. 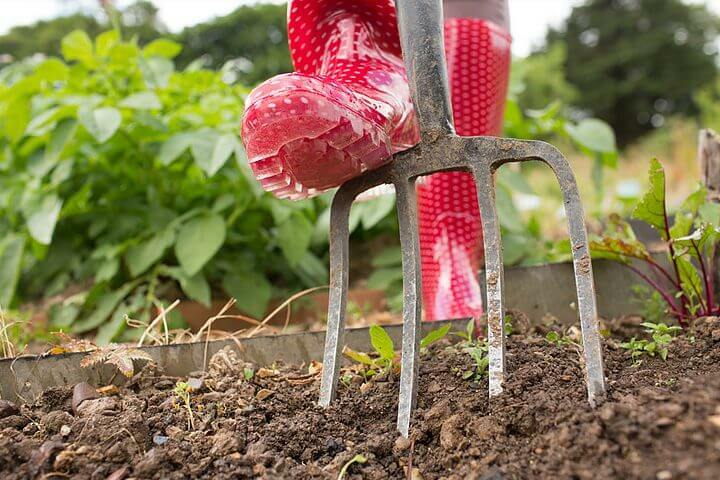 If you’ve had a vegetable garden for a few years, consider a soil test. It will offer suggestions for which amendments are needed to enrich over used soil. If you want to be the proud owner of a beautiful Texas garden, put down the remote and head to the yard. There’s work to be done and now is the right time to get started.